Beneath a layer of spines, this cactus sprouts asparagus-flavored buds. Sonoran desert dwellers have looked beyond the spines of the formidable cholla cactus for hundreds, if not thousands, of years. Members of the Tohono O’odham tribe pluck the flower buds, which they call ciolim, straight off the plant using a wooden chopstick-like tool. After carefully removing the spines and cooking the fruit, they’re left with a tender treat reminiscent of an artichoke heart with a mild asparagus flavor and a slight, lemony tang. The Tohono O’odham know cholla bud season, around April, as “Yellow Month,” a time when the plethora of flowering cacti and trees give the desert landscape a yellow glow. Due to the savory blossoms’ limited availability, foragers historically dried and stored the buds in preparation for the rest of the year, then soaked and rehydrated them before cooking. To prepare roasted ciolim, traditional cooks made an oven by placing the buds over a pit fire layered with foliage, followed by a layer of mud. Not only are the plants delicious, they’re nutritious. Two tablespoons’ worth contains as much calcium as a glass of milk, making the buds a particularly helpful staple among elders and nursing mothers. 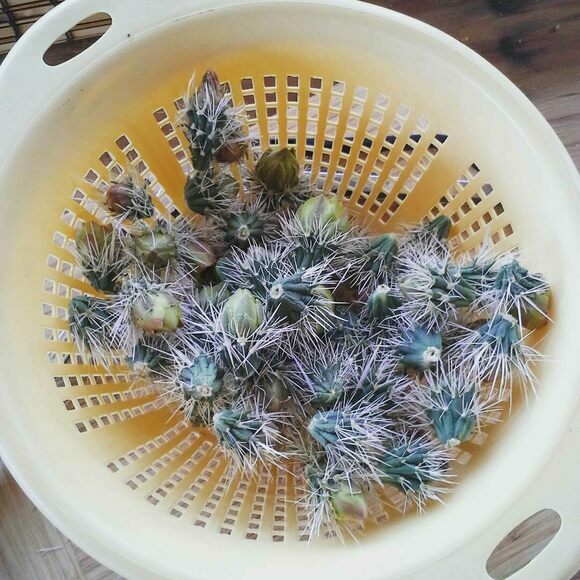 Ciolim season occurs before cholla buds blossom—from mid-April to end of May—in the Sonoran and Mojave deserts. 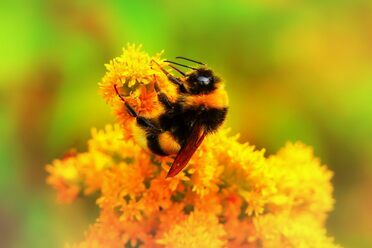 Venture into the open meadows of the Sierra Nevada, June 13–16, to learn firsthand about the plight of the humble bumblebee. The unique style born out of the California Gold Rush blends the crispness of a lager with the flavor of an ale. A crossbred table grape variety that tastes an awful lot like spun sugar. Take a bite out of this apple to reveal its pink interior. A casserole of cheesy, corn flake–topped tubers offers comfort to Mormons in mourning. This wild fruit helps man and beast survive long treks without water in the Kalahari desert. The Haitian mushroom transforms rice into an inky, earthy delicacy.